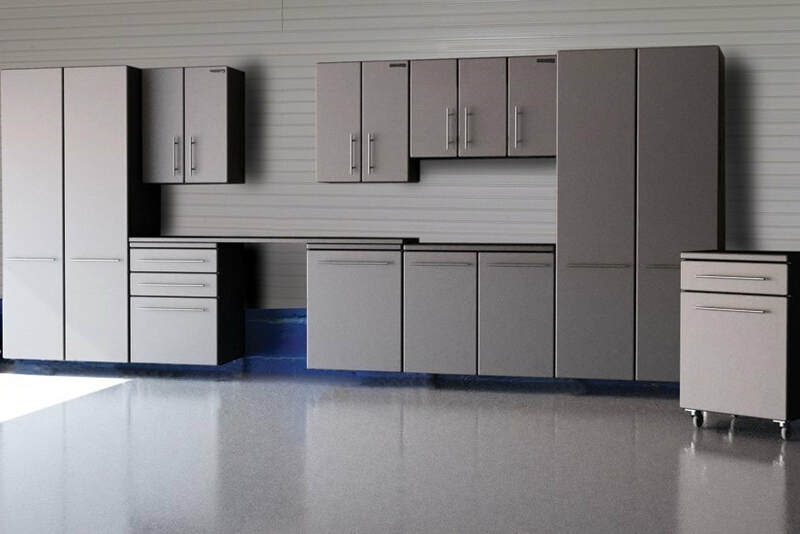 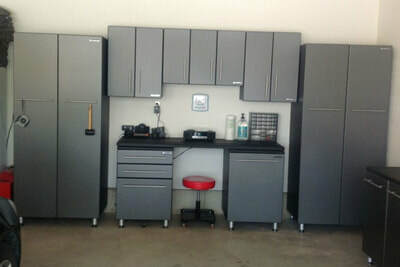 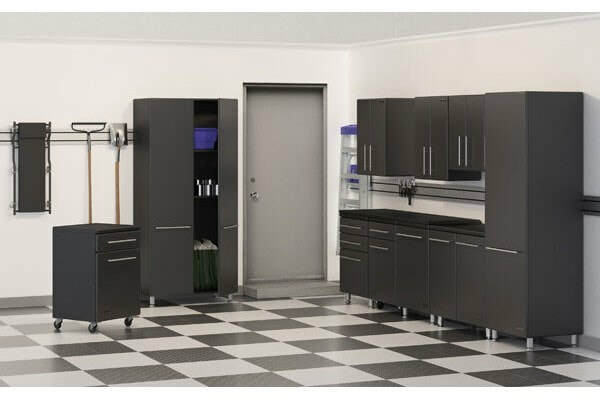 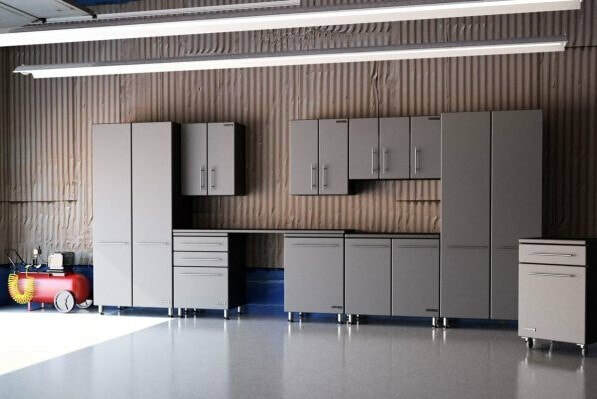 Ulti-mate is a medium grade garage storage cabinet system If you're looking for easy, attractive, economical cabinets, you've come to the right place. These storage cabinets look great, hold a ton of storage. 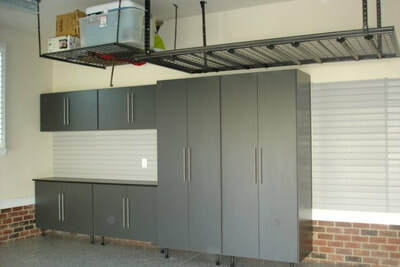 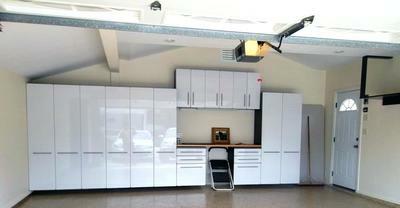 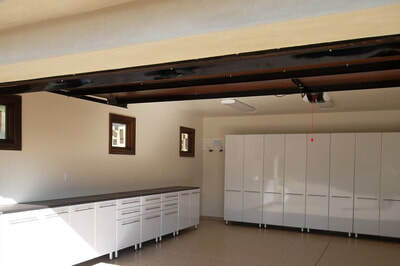 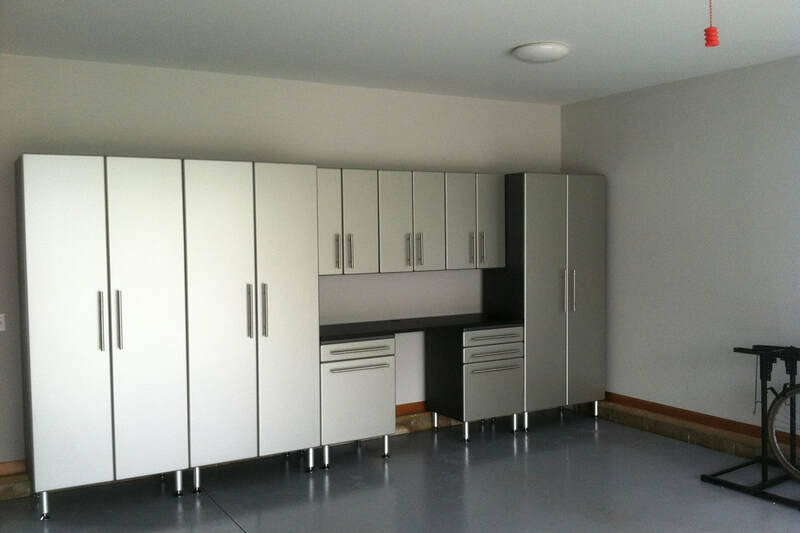 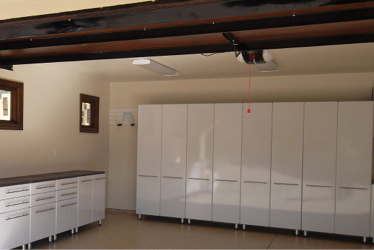 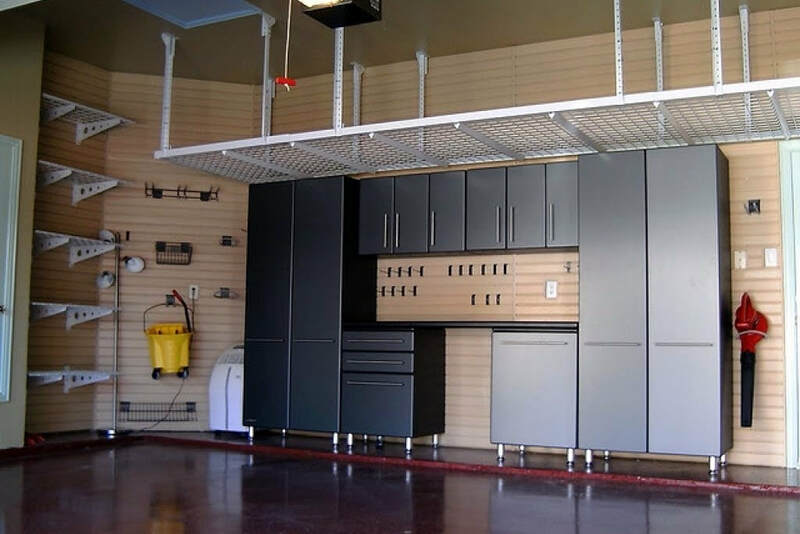 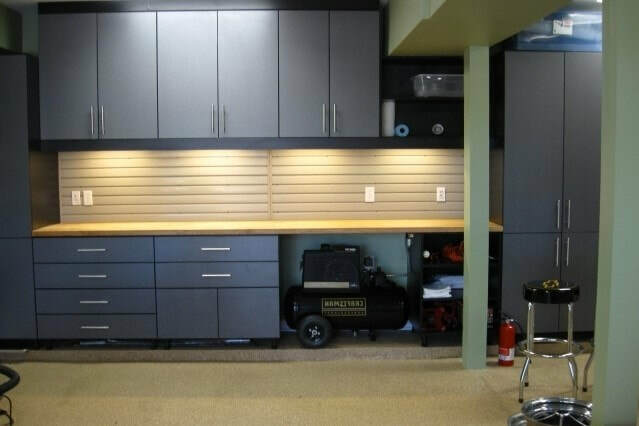 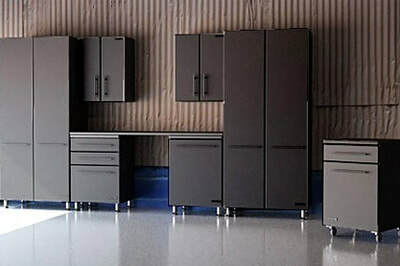 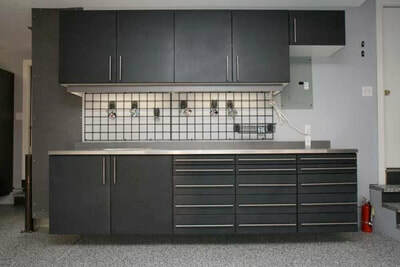 We can easily adapt this garage cabinet system to your situation: We can build one cabinet or a dozen, adjust the height or width to suit your space, or combine closed cabinets and open shelves in different ways. 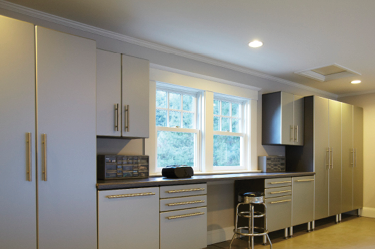 We can even configure this system for a laundry room, closet or basement. 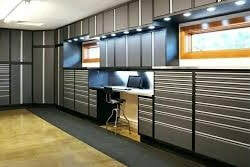 For a free estimate call 1-800-256-4969.